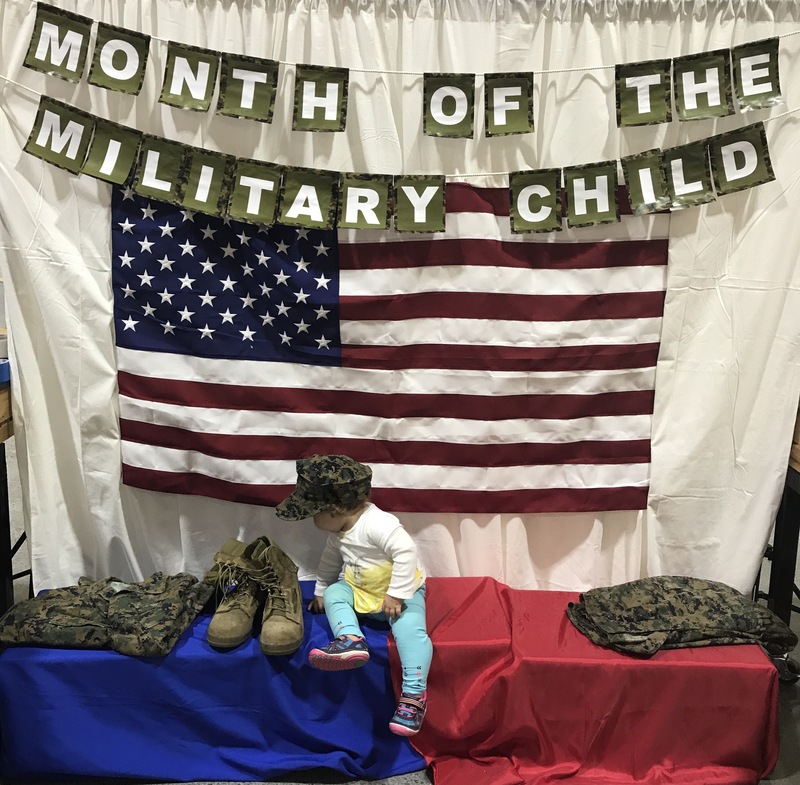 April is the Month of the Military Child and we honor military children for their sacrifice in supporting their families and country. 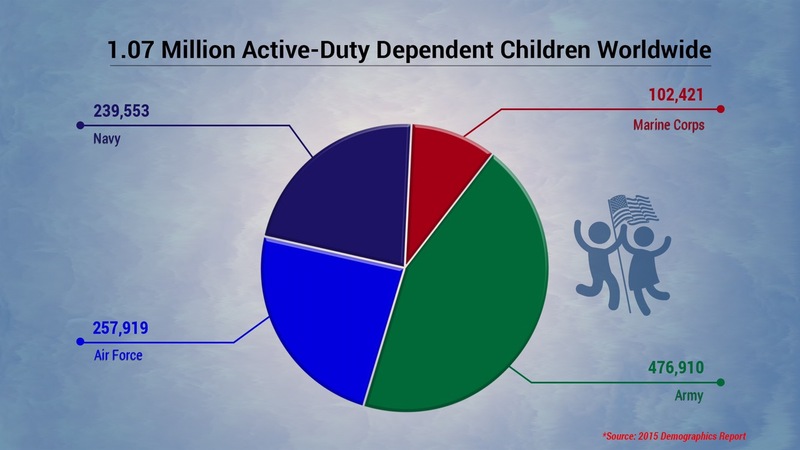 There are more than 1 million military children across the Department of Defense. Military children are remarkable examples of resilience, strength and flexibility. Like I said before, they did not get a say in whether they wanted this life or not, but they pack up their books and clothes and say goodbye to friends every couple of years anyways. I never realized how special military kids really were until I had my own. My daughter didn’t sign up for this life. My husband and I made this decision long before she was thought of. She will grow up in many different places, have once in a lifetime experiences, but also spend many days without her Daddy. The commissary here in Japan set up this photo booth this month. Not five minutes after I took this photo, my husband called me to let me know that he made it safely to his destination, but his jet is now down for maintenance and he has no clue if he will make it back on schedule or not. He has been gone 9 out of the last 10 days. This is going to be our routine for a while and he and I accept that, but it is not easy for a child to understand. He misses us deeply as we do him. I’m thankful he cherishes the time he is home with us and I honestly wouldn’t want to be anywhere else right now because the pure joy on my daughter’s face when Daddy finally comes walking through the door, out weighs any and all sadness/frustration we feel when he is gone. Before having kids, I very much thought of military life being a great adventure for myself and my husband. When I thought of having kids in this lifestyle, I always thought of the big picture: They’ll be stronger, more resilient and get to share a unique experience growing up this way. With age, Max will have a better understanding of what it means for daddy to leave (although there’s something to be said for this ignorant bliss stage). Some days my son hardly notices his absence, but sometimes I wonder if that’s worse than missing him. Each age surely comes with a different set of challenges. Our infant son will miss out on growing familiar with his dad’s presence in his first year, so he may not have the connection that Max has. Maybe more resentment will crop up for both of them in later years. In Max’s short 2-and-a-half years on this Earth, he has already lived in 4 different states. And then there’s, of course, the long work hours, weekends away, detachments that last weeks, deployments that last months — our time apart runs the gamut. It’s hard not to get misty eyes thinking of how it All effects our kids. But the beautiful (and, yes, sappy) thing is I can see the big picture forming already: Resilience. Seeing Max adapt quickly to his new surroundings, seeing his empathy and imagination makes me proud to be his mom and gives me comfort while we both are missing his dad. If you see a military kid give them a hug, thank them for their service because they really do give up more than anyone else.